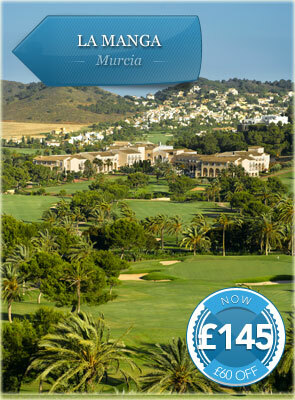 Located within easy reach of both Murcia and Alicante Airports, Mar Menor is a golf holiday makers dream. 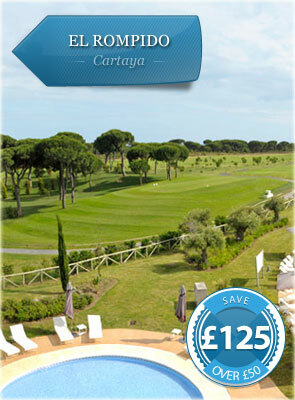 Included in this package is golf at a choice of courses, ranging from the Championship layout at Alhama to the more serene, errrr, Saurines de la Torre. 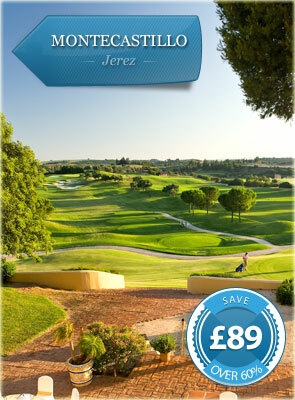 Ideally located just 4 miles South of Jerez Airport, Montecastillo Resort has built a reputation as a serious golfing destination. It is no surprise that this package is one of our best sellers, featuring unlimited golf at the legendary Jack Nicklaus design course. 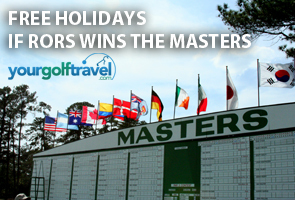 Montecastillo played host to the Volvo Masters, one of the biggest European Tour events, from 1997-2001 illustrating how impressive this golf course is. With a host of awards to its name, including 3-time winner of Europe’s Leading Golf Resort, the quality that La Manga provides speaks for itself. La Manga has been a contender for Europe’s leading golf resort for near on 40 years and with three Championship courses to choose from, as well as superb facilities and level of service, this venue is a golfer’s haven. 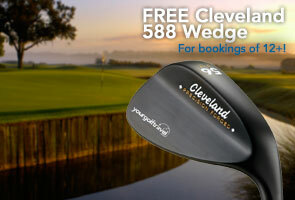 This package includes 2 rounds of golf from a choice of all three of its Championship courses. Aroeira Resort boasts two Championship golf courses and a microclimate that provides sunshine all year round, creating an excellent destination to travel to and enjoy some golf, especially during the cold UK Winter months. With a variety of tee markers on both courses, Aroeria presents an exciting and varied challenge for golfers of all levels. Since opening, Aroeria I has hosted the Portuguese Open twice and the younger Aroeria II has been earmarked for the event in the future. 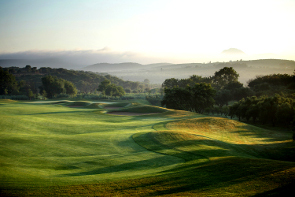 With 27 holes, all designed by The Belfry’s Dave Thomas, surrounding the hotel, Almenara offers one of the most diverse golfing experiences. Guests can choose from three different par-72 combinations all of which feature undulating fairways bordered by a variety of pine, oak and cork as well as lakes and the natural contours of the landscape. 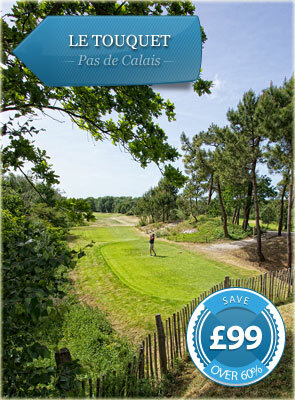 Located just down the coast from Calais, Le Touquet could not be more conveniently placed for a quick golf break. As one of Europe’s most accessible golf destinations, Le Touquet enjoys a huge number of visitors, especially in the Summer months when the nightlife is particularly lively offering a number of bars and casinos to enjoy after a round of golf. The world renowned Harry Colt designed La Mer golf course provides a test reminiscent of links golf, while La Foret is more picturesque, set amongst pines and offers wide fairways for golfers of all skill levels. Located on the unspoiled Huelva coast, El Rompido boasts a fantastic 5 star hotel and two excellent Championship golf courses. The Costa De La Luz is fast becoming the popular alternative to traditional golfing destinations, and as one of its top golfing venues, El Rompido has started to attract many avid golfers for short breaks throughout the year. The Atlantic backdrop of the South Course provides a stunning experience of golf. 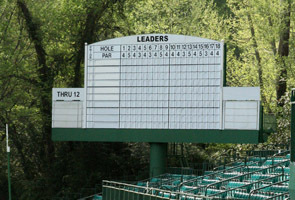 However, as the course meanders through pine and olive trees and marshland, and measures a yardage of 6,723, this course can soon prove to be no walk in the park. 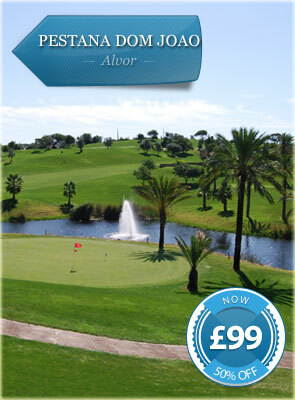 Located on Alvor Beach, this destination is perfect for any wishing to take a golf holiday in the Algarve. 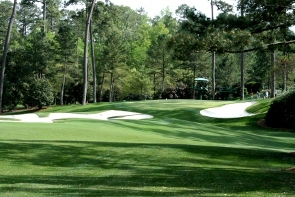 It offers easy access to a number of excellent golf courses, as well as beaches, along this coastline. 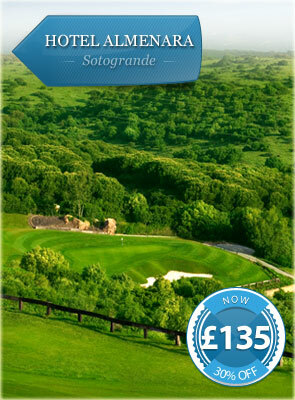 This package includes two rounds of golf at a choice of five different golf courses in this area, including the fantastic parkland Vale da Pinta and the course at the Alto Golf & Country Club. 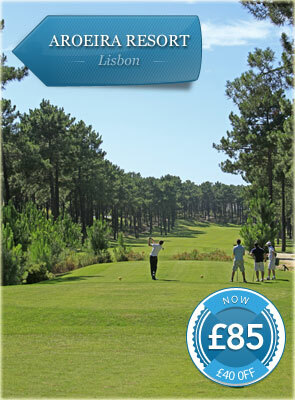 With a host of fantastic courses, a golf break in Alvor is well worth the trip. Under 800 metres from the beach and surrounded by its own golf course, the Islantilla Resort is said to be one of the best golf resorts in Western Andalucia. 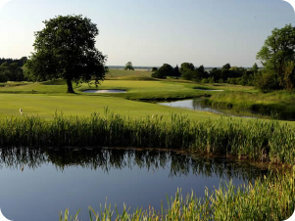 Purpose built to provide luxurious accommodation for golfers, the hotel includes its very own English style pub to create the perfect 19th hole experience, as well as state of the art spa and leisure facilities. Regularly playing host to Challenge Tour events, the course at Islantilla was also chosen to host the European Tour’s Turespana Masters, which was won by Alex Cejka. With one 18 hole and two 9 hole courses, Mont Griffon is a great place for a relaxing and enjoyable golf break. While the 18 hole Le Lacs course can present a test with its array of water hazzards, the resort is perfect for beginners and intermediates with one of the largest golf training centres in Europe. 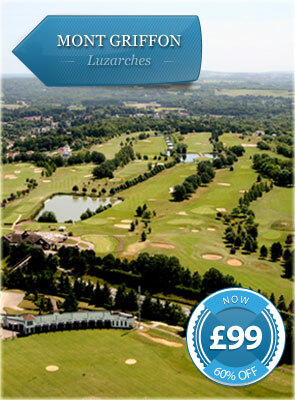 The resort is located in a beautifully scenic area overlooking Luzarches and just 30 minutes from Paris. So for those looking to improve their game in a sunny and relaxing environment, take a trip to Mont Griffon. Keen 19th hole golfer with a talent for talking a very good game. Best thing on golfing CV is attending the Ryder Cup and not treading on a blade of grass. Print article This entry was posted by Oliver on August 17, 2012 at 11:00 am, and is filed under General. Follow any responses to this post through RSS 2.0. You can leave a response or trackback from your own site.